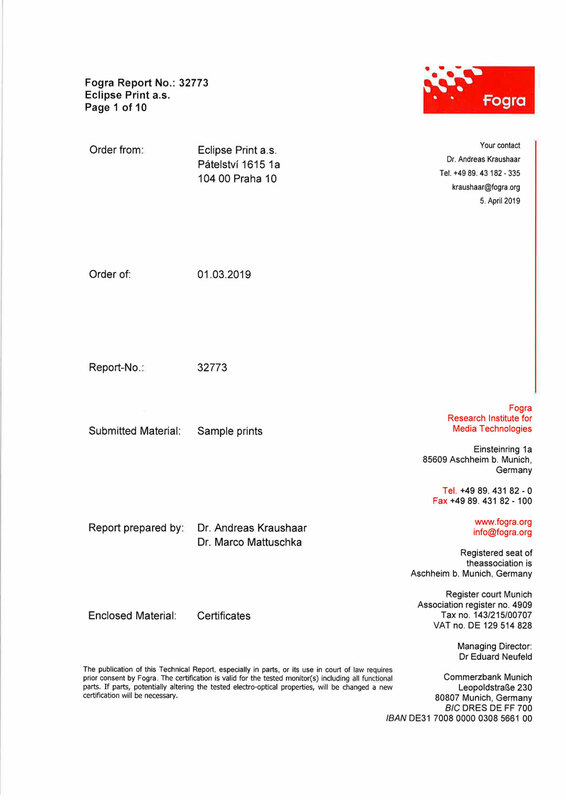 PSO a PSD certifikace | Eclipse Print a. s.
We are proud to announce that our production team has succesfully completed PSO certification for offset and digital printing in accordance with the international series of standards ISO 12647, based on Fogra standard. 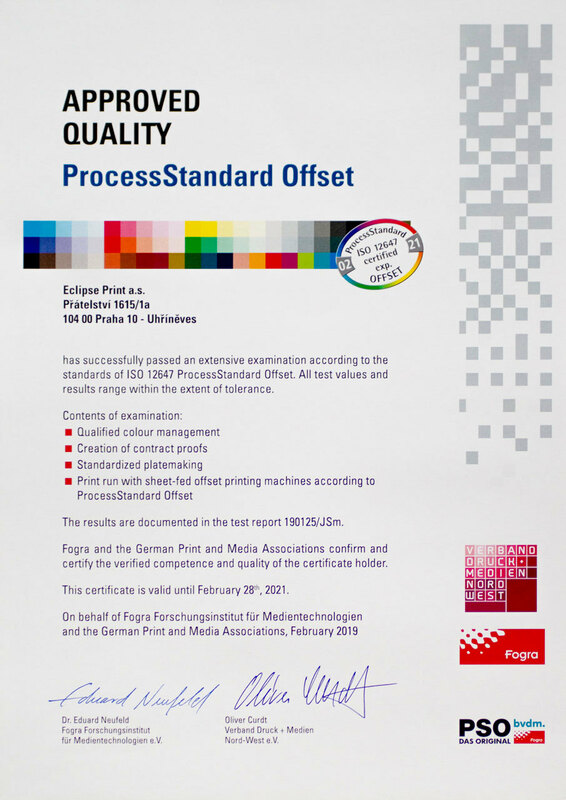 ProcessStandard Offset (ISO 12647 ff) is a guide to creating optimal, stable and reliable print products. It describes an industrially-oriented and standardized approach to manufacturing print products. The complex production process is streamlined to be as efficient as possible and simultaneously guarantees predictable color quality of intermediate and final results. From data collection to final print product, PSO enables a qualitatively secured production. 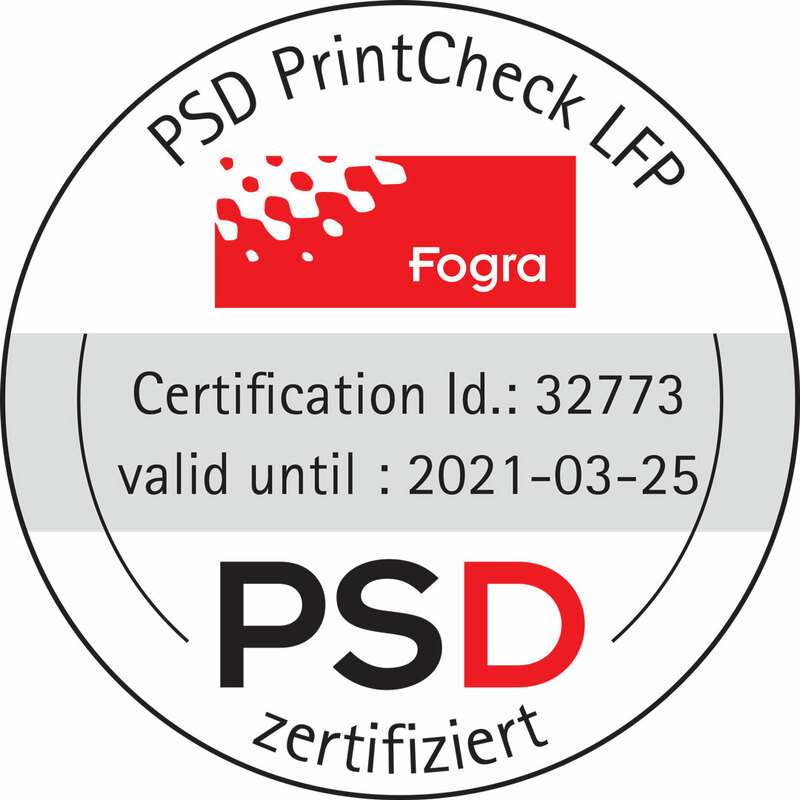 ProcessStandard provides offset with sensible and feasible nominal values and tolerances for print production. In no way does it restrict the maximum quality achievable!